Shaped by the country they left behind, Italian immigrants made their way to Colorado in the late 1850s, spurred by the mining boom. They faced discrimination, challenges and often lived in segregated communities. Still, they persevered and prospered, making an impact on the communities they were becoming a part of. Today Colorado’s Italian American community is experiencing a revival, with members committed to preserving their history. Below are excerpts from our recently re-published book Italy in Colorado:Family Histories from Denver and Beyond, which includes personal histories and rare photographs collected in collaboration with this community. Read these seven stories of influential Italian Americans to learn more about the history of this unique, vibrant community and their contributions to Colorado and the nation at-large. 1. 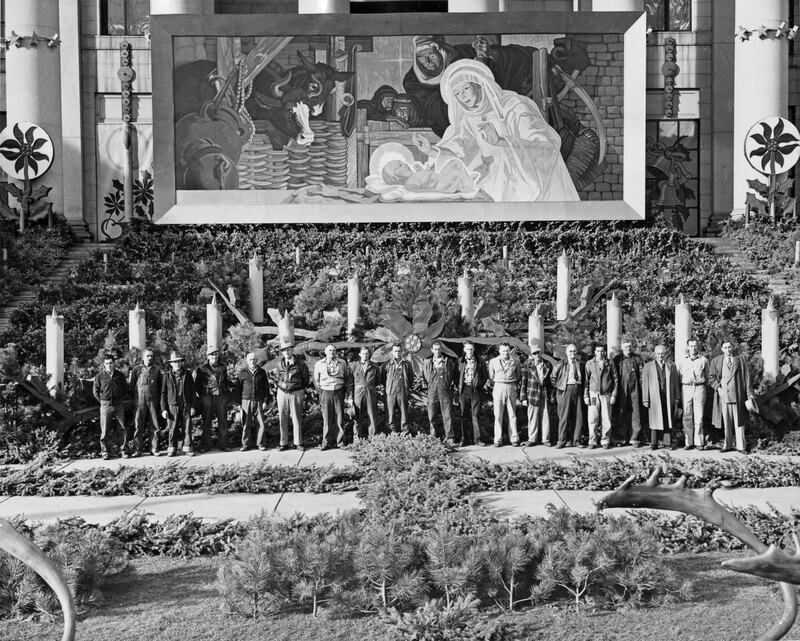 The first person to decorate Denver’s Civic Center for the holidays was John Malpiede in 1919. Born in 1891, John Malpiede grew up in North Denver. An altar boy at Our Lady of Mount Carmel and the son of a stonemason turned vegetable gardener, he married Mary Palmasano in 1911 and went to work as an electrician for the city of Denver. In 1919, John decorated Denver’s Civic Center for the first time in the city’s history. At first, only the evergreen trees were decorated. The public response was overwhelming, and from there the project grew. Evergreen boughs were added to lampposts, then a lit Christmas tree was placed in front of the State Capitol. In 1926 John persuaded Mayor Stapleton to let him decorate the exterior of City Hall (today’s City and County Building). In 1938, the Christmas lights became an official project of the City and County of Denver. For twenty-nine years John improved his exhibit by adding more garlands one year, new bulbs another, and additional figures, flowers, and even paintings the next. When he retired in 1956, the display included an eighty-five-foot artificial tree, handmade reindeer, candles, giant poinsettias, 25,000 bulbs, seventeen miles of electrical wiring, and twelve tons of evergreen boughs. Since 1996, about half a million people every year see the elaborate display of lights begun by John Malpiede. You can join us for a tour of the history of Denver’s holiday lights on December 7th! 2. The Colorado Ballet was founded by Lillian Covillo. Lillian R. Covillo was born in Denver in 1921 to Italian American parents. Discovering ballet as a girl, she went on to perform in Denver operas. As a student at the University of Denver, she started teaching in the physical education department at the Cathedral Catholic schools. She taught dance—including ballet, modern, and folk—along with basketball and softball. Around 1940, she served as ballet mistress and choreographer for the Denver Grand Opera Company. 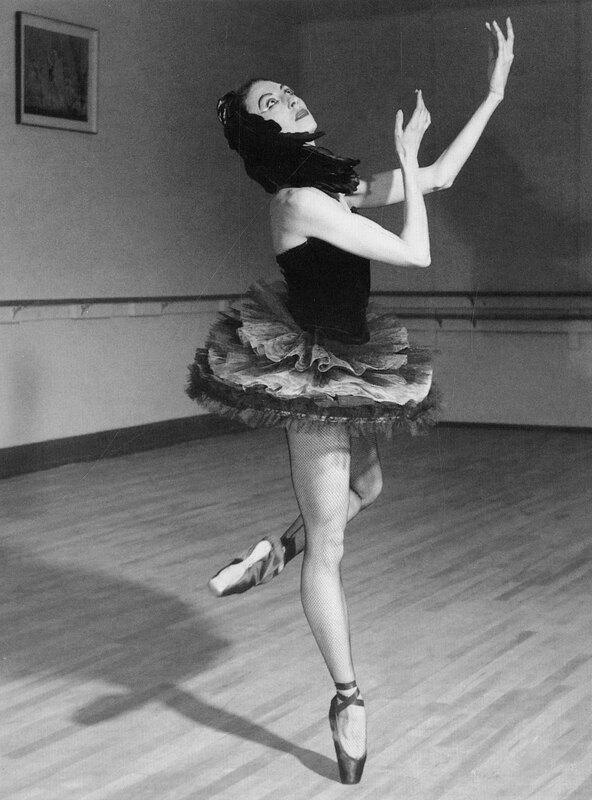 In the late 1940s, she and fellow dancer Freidann Parker founded the Covillo-Parker School of Dance, which in turn led to the Covillo-Parker Theater Ballet. To supplement their company, both Lillian and Freidann worked as freelance choreographers. They created a not-for-profit company so they could receive tax-deductible donations, naming their new company the Colorado Concert Ballet. In its first season in 1961, the company produced Denver’s first full-length production of The Nutcracker. In 1968, Lillian Covillo and Freidann Parker received the Governor’s Award for Excellence in the Arts. Ten years later, they changed the name of the company to the Colorado Ballet—today a mainstay of the Denver cultural scene. Parker died in 2002. Covillo died in 2010. 3. Perry Como’s musical director was Coloradan Nick Perito. Nick Perito was born in North Denver in 1924. His father, Rocco, left Potenza, Italy, in 1898 at the age of fifteen and after twenty-nine days on a ship in steerage reached New York City. He then traveled for another three weeks by train to Denver, where he later married Jennie Cominello, another Potenza native. At the age of five, Nick Perito started music lessons. 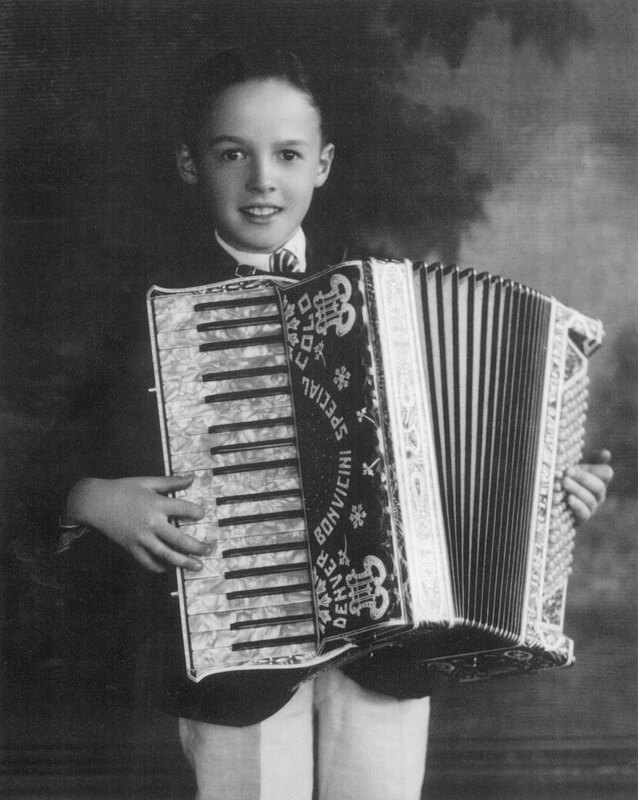 Soon, he was playing the accordion for family and friends at social occasions. In 1939, he took a job with KLZ, a Denver radio station, playing accordion and piano in a trio known as the Yawn Patrolman. After graduating from North High School in 1942, Nick attended the Lamont School of Music at the University of Denver. An Army medic in World War II, he also played music with the United States Army Band. After the war, Nick attended the Juilliard School of Music in New York City and went on to work as an arranger, composer, conductor, and pianist. Over the years, he worked with artists such as Judy Garland, Dorothy Dandridge, Peter Nero, Ferrante and Teicher, the Ray Charles Singers, and Perry Como. He also served as musical director for Perry Como and, in 1979, joined the Kennedy Center in Washington, D.C. as the musical conductor of the “Kennedy Center Honors” annual television specials. In addition to his many and varied accomplishments, Nick garnered eleven Emmy nominations for his work as a musical director in television, released several albums, wrote a score for a movie, and wrote a book about his life in 2005. From The Denver Post, October 3, 1979. Courtesy Angelina Testa. 4. The largest mozzarella cheese producer in the world was founded by Michael Leprino. Michael Leprino, Sr., was born in Potenza in 1898 and left Italy at the age of sixteen with a cousin. In 1914, he settled with family in Denver. He learned English at the Emily Griffith Opportunity School and worked on the night shift at Swift & Company. In 1920, he married Susie Pergola. Around 1925, Mike became a US citizen and went to work as a laborer in the Denver brickyards. He also farmed a small piece of land around Thirty-eighth Avenue and Fox Street to support his growing family. He kept farming until he was forced off the land to make way for the Valley Highway, near today’s junction of I-70 and I-25. Mike opened a small grocery store on the site of today’s Leprino Foods. 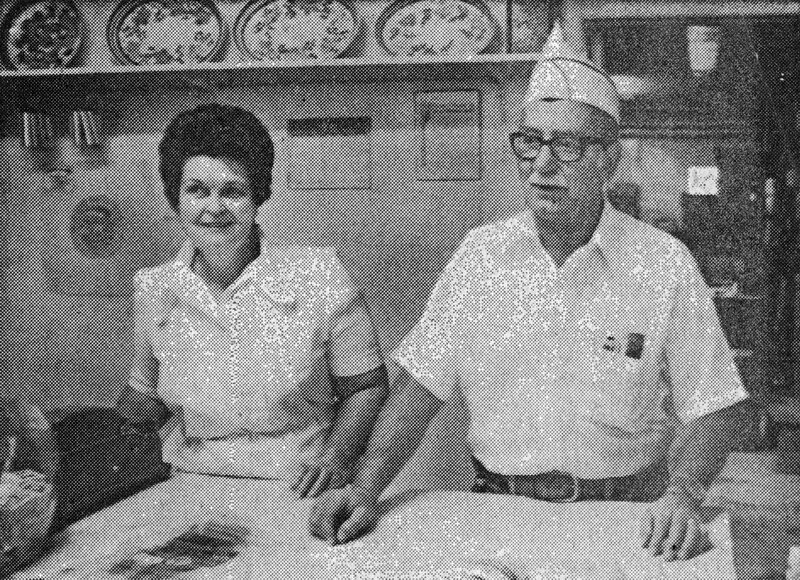 In 1950, he started making small batches of ricotta cheese for his daughter, Angelina, and her husband, Frank, who sold their raviolis locally under the label “Frangi’s.” Although he’d never made cheese before, a determined Mike Leprino hired the man who’d worked with Angelina’s previous cheese supplier. Soon, Frangi’s moved from Angelina’s home to the front of her father’s grocery store, and Mike made cheese in the back. Over twenty years, the company added more manufacturing plants and products. In 1956, Mike Leprino’s son Jim entered the family business, and upon his father’s death in 1972, Jim became chairman and chief executive officer of Leprino Foods, today the world’s largest producer of mozzarella supplying 85% of the cheese to the pizza market. By James Baca, Denver Catholic Register, October 3, 1990. Courtesy Catholic Archdiocese of Denver. 5. Coloradan Genevieve Fiore was a co-founder of the third UNESCO chapter in the world. One of six children, Genevieve D’Amato was born in 1912 in Wyoming to Italian immigrants from the Salerno province. Her father worked as a miner and blacksmith in Wyoming before moving to Welby, Colorado, to farm. In 1930, Genevieve met John Fiore at a dance. 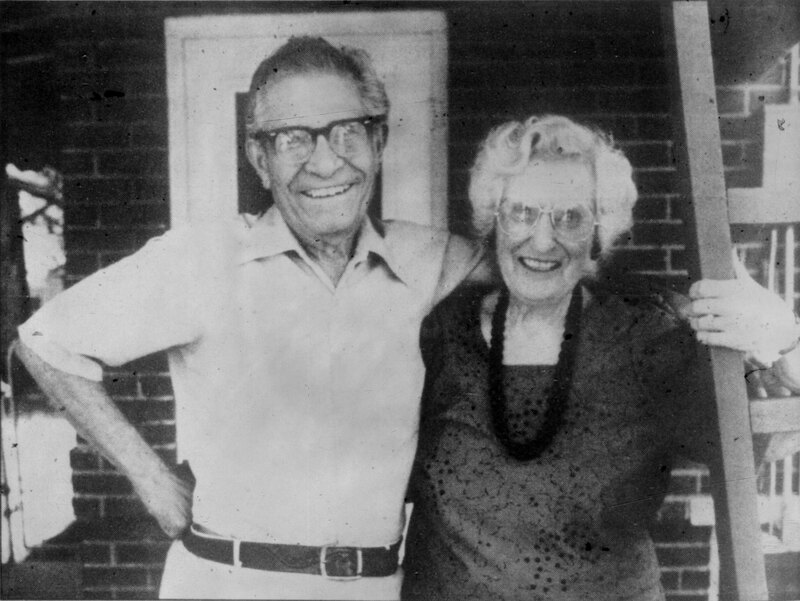 In 1933 they married, and they moved to North Denver, where John worked as a pressman for a publishing company while Genevieve cared for their three children. In the mid-1940s, Genevieve started promoting and campaigning for world peace—the result of two major events in her life: watching her father cry over the death of her nineteen-year-old brother in Italy during World War I and feelings of guilt because she hadn’t tried to prevent World War II, a war in which three brothers, a brother-in-law, and many friends served, some never returning and others changed forever. After working with pacifist Frederick Enholm and attending a conference of the newly formed United Nations Educational, Scientific and Cultural Organization (UNESCO), she co-founded the UNESCO Association of Colorado, the third UNESCO chapter in the world. A lifetime member, she served as president of the organization between 1947 and 1953. Genevieve Fiore led the Peace Pole project in Denver, a project that inspires humankind to work toward harmony by erecting obelisks bearing messages of peace. The Peace Pole Project has spread to over 160 countries and succeeded in constructing over 100,000 poles. Genevieve was also involved in the Sister Cities program, established in 1956 under President Eisenhower’s administration. The aim of the organization, still active today, is to promote worldwide unity. Denver now has ten sister cities. In 1975 the Italian government awarded her the title Cavaliere, an honor equal to knighthood, for her work with the Denver organization Il Circolo Italiano. In 1991, she was inducted into the Colorado Women’s Hall of Fame. Genevieve worked for peace until her death in 2002 at age ninety. 6. 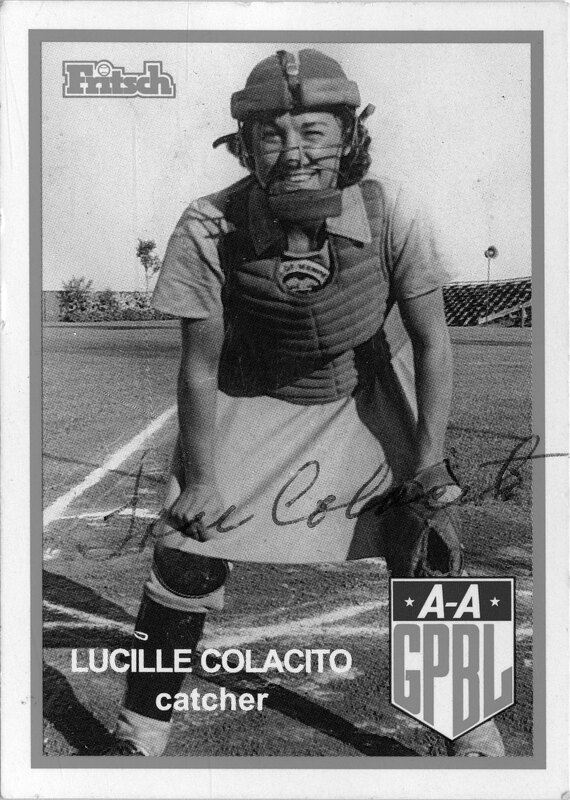 Lucille “Lou” Colacito was the first Denver woman to play for a major baseball league team. One of four children born to Joseph and Katherine Appugliese, Lucille “Lou” (Appugliese) Colacito was born in Florence, Colorado, in 1921. Her Italian-born father had two years earlier married a Coloradan born to an Italian father and American mother. Joseph had worked in Colorado coal mines before their move to Denver, where he was working as a mold maker for a steel works company. Around 1939, Lou started playing softball for local teams. One of her coaches was Mike “Buck” Colacito; they married in 1941. When Buck went overseas in World War II, Lou signed a contract with Wisconsin’s Kenosha Comets, a pro baseball team. Playing two seasons in 1944 and 1945, she was the first Denver woman to reach baseball’s big leagues. Her pay was $55 a week, plus $6.50 meal money a day when the team was on the road. She went on to teach bowling to handicapped children and junior bowlers. In 1984, Lou Colacito was inducted into the Denver Softball Hall of Fame. Lou Colacito died on January 30, 1998. Check out this blog to see photos of Colorado’s Semi-Pro and Amateur Baseball Teams and check out our exhibit Play Ball! A Celebration of America's Game at History Colorado Center before it closes January 6th! 7. The Brown Palace and the Cathedral of the Immaculate Conception were built by Frank Damascio. In 1878 Frank Damascio of Abruzzi, Italy, settled in Trinidad, Colorado. A contractor, builder, and sculptor, he’s credited with the construction of many Trinidad buildings, including the old courthouse. Frank moved to Denver in 1890 and established himself as one of the city’s leading contractors and builders, working on the Brown Palace Hotel (1892), the Mining Exchange Building (demolished), and the Cathedral of the Immaculate Conception (started in 1902). 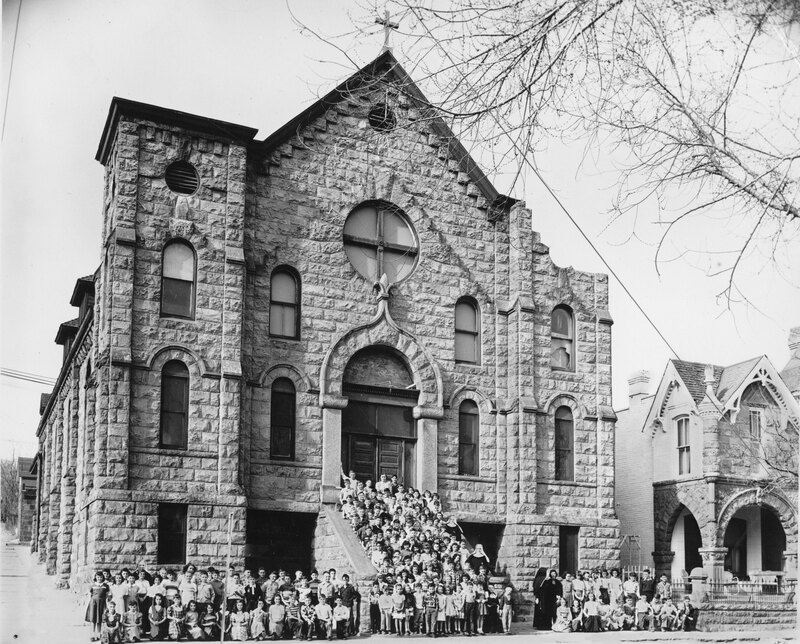 Other Damascio buildings include the North Denver Mercantile on Osage Street, the San Rocco Chapel/Mount Carmel Parish School (demolished), and the Damascio home at 3611 Osage. A testament to his success and wealth, the home includes an elaborate stone exterior with beautifully carved details, bay windows, marble floors, and fourteen rooms, many with Damascio’s hand-carved fireplaces. Frank Damascio’s activities in the Italian American community included Il Circolo Filodrammatico Italo-Americano, a dramatic and literary society that supported the arts and continued use of the Italian language in the community. Want to learn more? You can see more photographs here and buy the full book here.